Practice EHR provides practice management provides standard based Electronic Remittance Reports that allow you to electronically receive insurance payments along with an electronic report that details explanation of payment and adjudication of medical claims. Quickly verify and post payments to patient account. 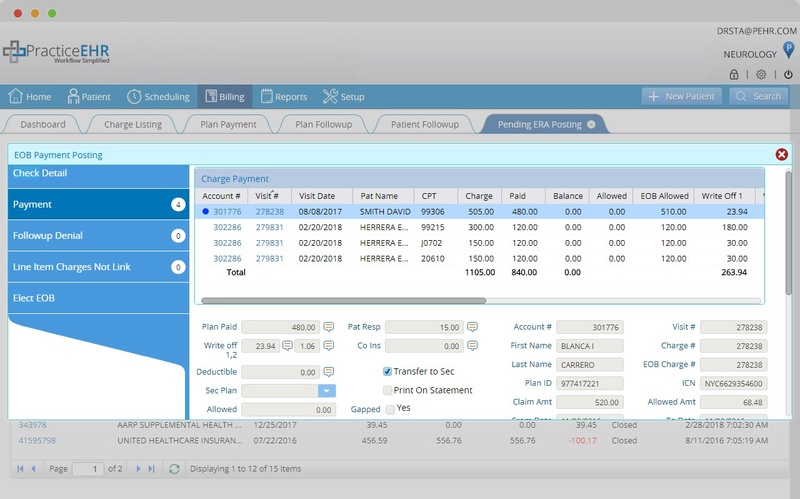 Easily reconcile with bank statements by utilizing built-in ERA reporting capabilities.